Welcome to our special guide to the absolute best Austin restaurants. It only takes a day or two in this capital city to realize that it’s nothing short of a foodie mecca. With restaurants new and old bursting at the seams, it can be overwhelming and challenging to sort the exceptional from the mediocre. 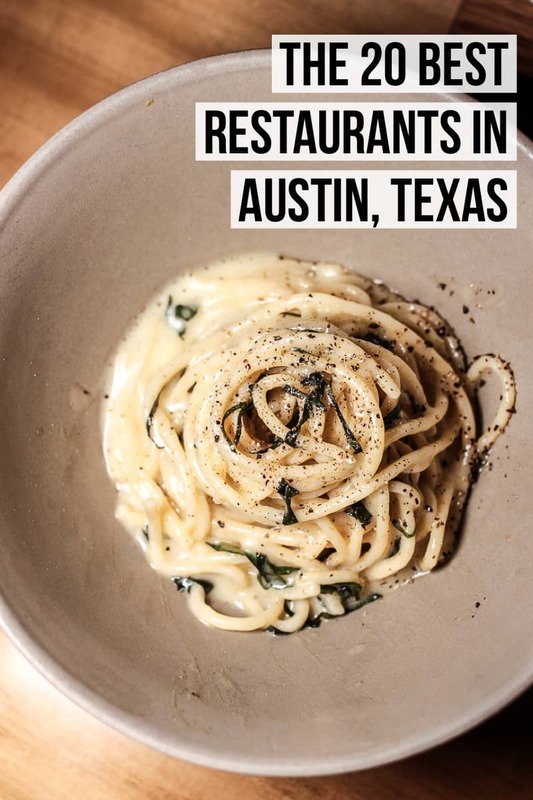 Which is exactly why we’ve generated a tried and true list of the absolute best restaurants in Austin to satisfy all of your gastronomic needs. 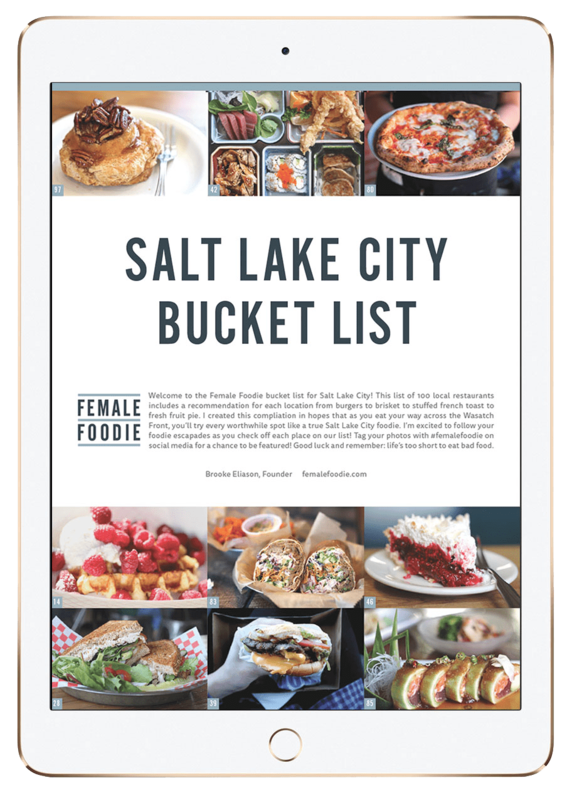 This certainly isn’t a collection of all good Austin restaurants, nor is it a list of the most hyped or popular restaurants, but rather our consolidated favorites that stand out among the masses, solely based on the exceptional quality of food they serve. As always, these restaurant reviews are completely unbiased and all meals photographed for this post (plus dozens of others you aren’t seeing here) were consumed and enjoyed just like any other regular customer. If you come to town asking for our Austin restaurant recommendations, THIS is the golden list that we’ll give to you. We’ve ranked them in descending order for additional help and included original photography and menu recommendations for every single spot. Little Deli isn’t over the top glamorous and the foods that are served here certainly aren’t novel, but they do everything so incredibly well and it’s a spot that customers come back to over and over again. From pizza to sandwiches to calzones, there are plenty of options to choose from. Grab a quick lunch here or bring friends and family together for dinner on one of their outdoor picnic tables to enjoy one of the best restaurants in Austin. Bonus points for being really family friendly AND for having one of the best chewy chocolate cookies ever. There is quite literally something for everyone when it comes to Fareground, a food hall in downtown Austin, which is basically code for the food court of your adult dreams. With newcomers (Henbit, Dai Due Taqueria) and some old comers (Contigo, Antonelli’s Cheese) all serving incredible food in one big, air-conditioned space, it’s a must try while exploring the best Austin restaurants. 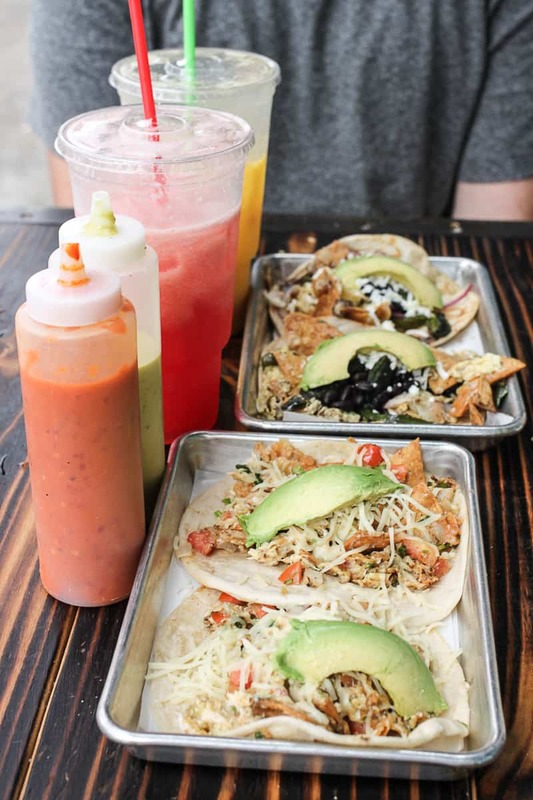 Fresa’s is one of the best Austin restaurants that will blow your mind with their incredibly delicious menu items, several of which are healthy and oh so delicious. It’s the perfect spot for when you’re craving a salad that actually tastes good and will fill you up. 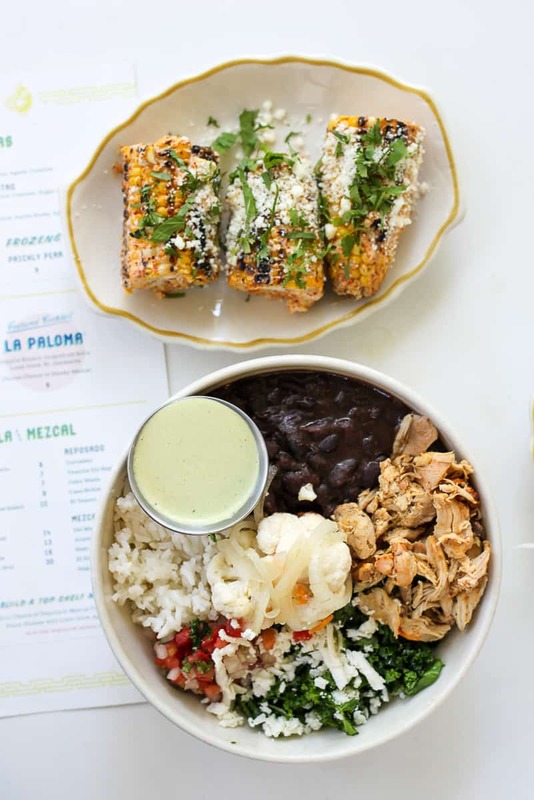 Or if you’re feeling something a little more substantial, their tacos are fantastic and we strongly recommend the La Fresa so you can enjoy one of their best menu offerings- the pulled achiote chicken. The Mexican street corn is TDF and will never say no to their guacamole. Dine in at the South First location or DRIVE THRU (not kidding) their ever so convenient 9th and Lamar location. After sampling dozens (and dozens) of burgers at the best restaurants in Austin we finally found the burger of our dreams at Salt and Time. 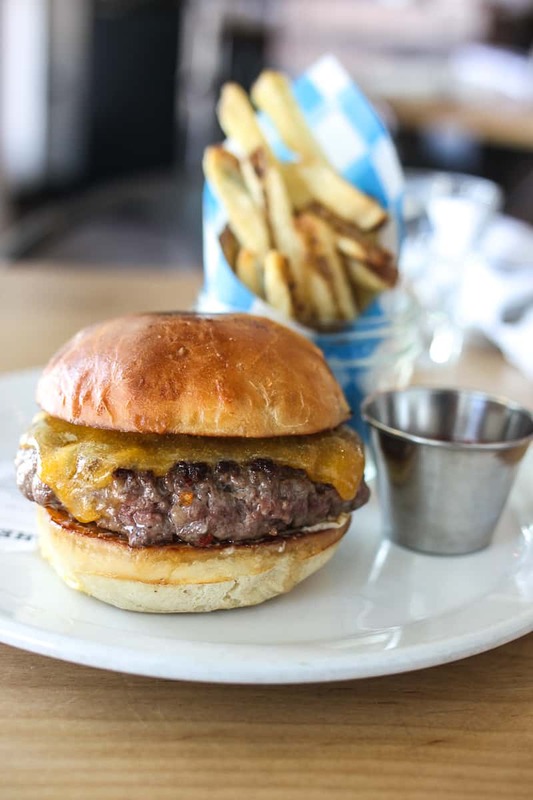 Picture a 1/2 pound beef patty made of daily steak trimmings including ribeye and other high-quality cuts, served with aioli, sour pickles, and beef fat french fries and you have our favorite burger in all of Austin. The juiciness and flavor in this burger will make your carnivore heart sing. One of the absolute best restaurants in Austin is undeniably Sway. Locals love it, tourists love it, and you’re going to love it too. 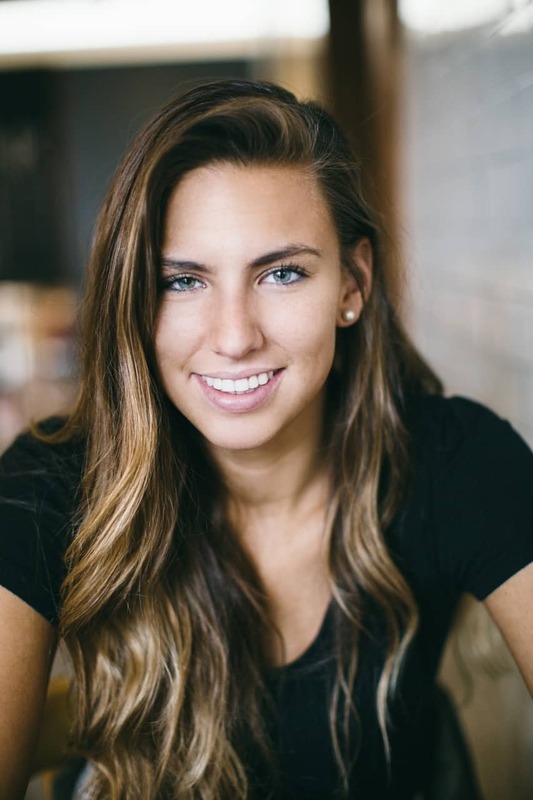 If you can’t get reservations, plan on waiting a bit for a seat at one of their bars or around a communal table. The flavors in every dish here are so well executed and unforgettable, but some of our favorites include the satay, peanut curry, the son in law, and the tiger cry (if you don’t mind some heat). 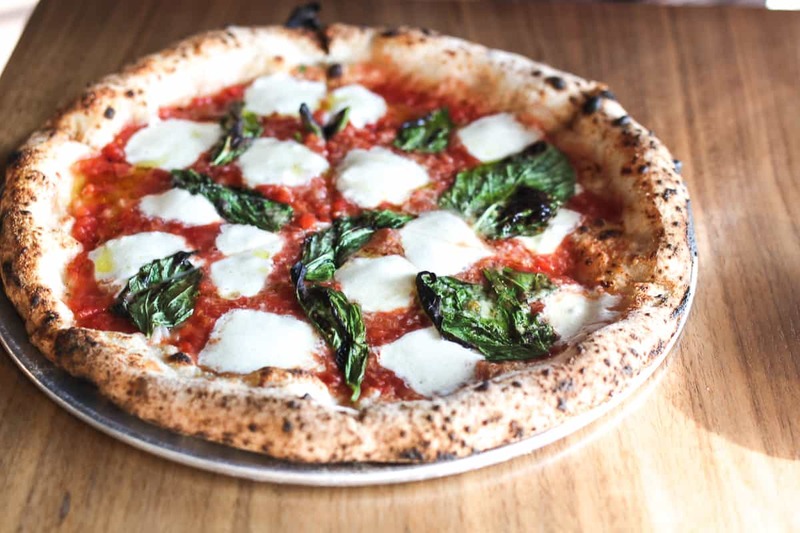 Austin is a city filled with delicious pizza but when it comes to the best Austin restaurants where we narrow suggestions down, we recommend Bufalina in a heartbeat! Serving up incredible Neapolitan pizza, the delicate wood-fired crust combined with fresh toppings and mozzarella will make your heart sing. Both the OG location (Cesar Chavez) and Bufalina Due are equally as fantastic but menus differ ever so slightly. Try a margherita pizza for your first time or the fresca for something light and delicious. If you’re looking for a great lunch spot at one of the best restaurants in Austin, go to Elizabeth Street Cafe. 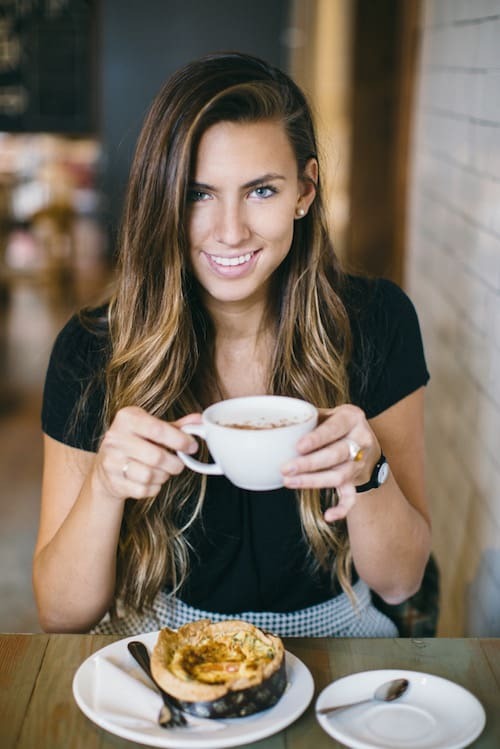 This adorable spot seems like an Instagram trap from the get-go, but we promise that the food will taste really good too. 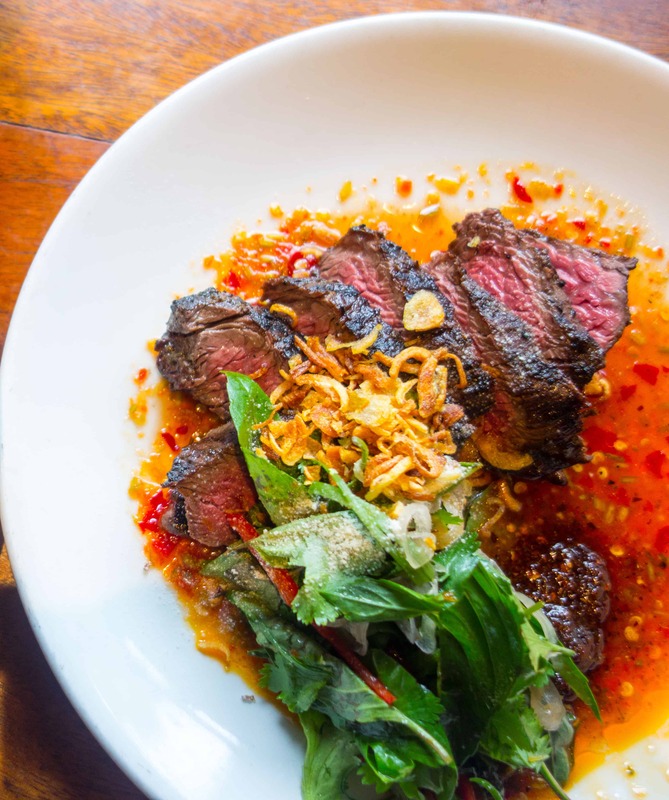 You’re getting Vietnamese entrees and French pastries here so its the perfect combination of hearty delicious meals with the perfect sweet finish. 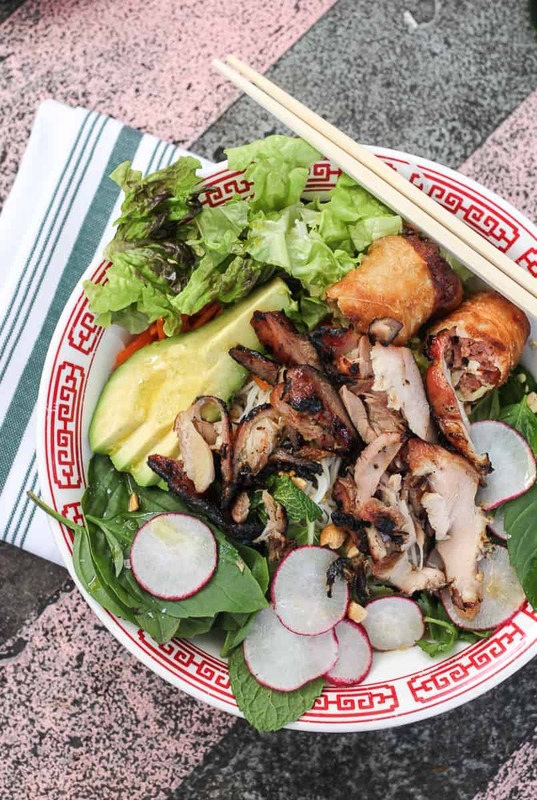 Our favorite menu items are the bún bowls- they’re rice vermicelli bowls with delicious fresh vegetables, herbs, and roasted peanuts with a meat of your choice. The grilled chicken is our go-to but you cannot go wrong with any of the options. Don’t leave without a macaron (or three). Spend a couple of days researching the best Austin restaurants and you’ll quickly realize that happy hour is an ever-present thing in ATX. And while some happy hours are worth it, and other’s aren’t, the happy hour at Clark’s is one you can count on! From 3-6 p.m. Monday thru Friday you can enjoy 50 cents off oysters and half off one of our favorite burgers in town. 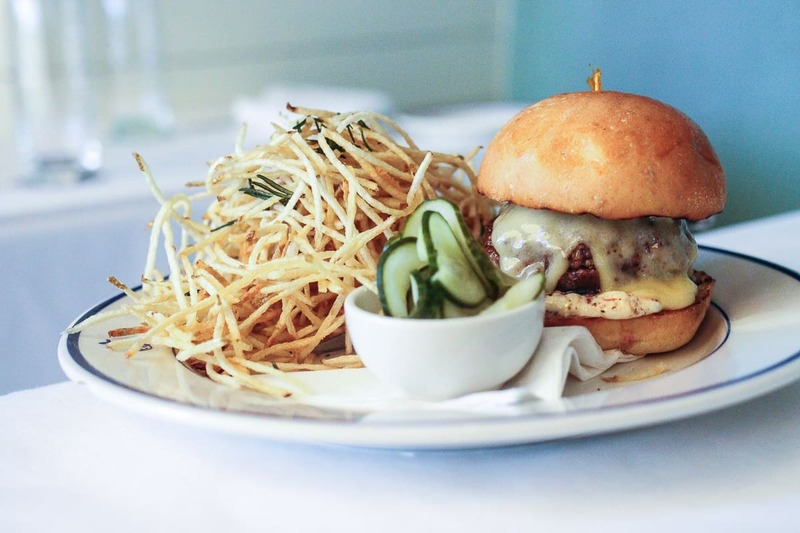 You will die over how succulent and delicious this pan-roasted black Angus burger is and the shoestring fries are truly addicting. There is no other restaurant in the world like Kemuri Tatsu Ya and it’s hands down one of the best Austin restaurants you can dine at. They serve Japanese dishes with a Texan/barbecue influence and it’s all truly TDF. 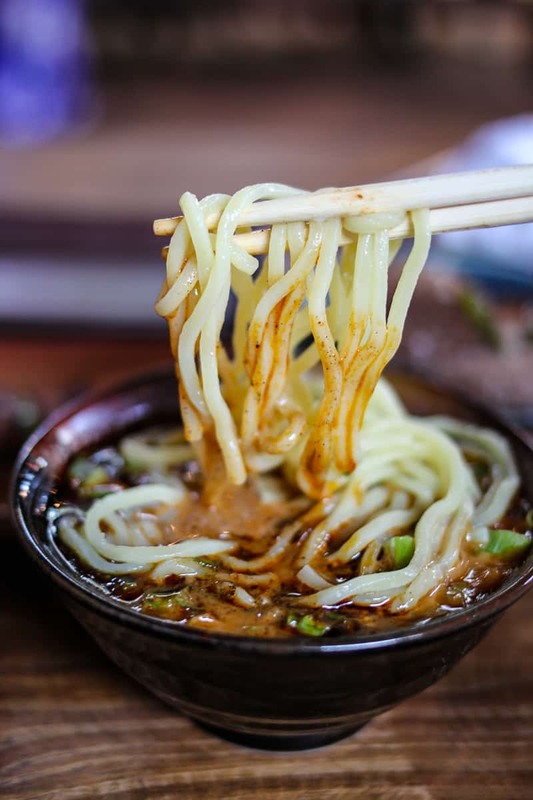 There are so many incredible things to try on the menu but a few must order items: smoked melt-in-your-mouth bisket, kurobuta pork belly, Tokyo street corn, the BBQ tsukemen ramen with brisket & smoked jalapeño. Great place for date night, birthday dinner, or catching up with girlfriends- the patio is fantastic, even in the 100 degree Texas heat. 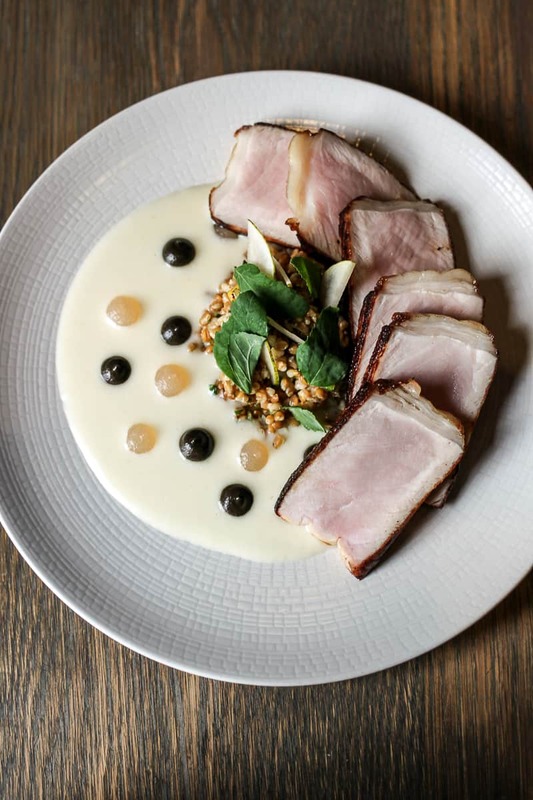 Amidst a sea of endearingly wonky and unique Austin restaurants that scream #keepaustinweird, Olamaie is a refreshingly timeless southern establishment that’s perfect for special occasions or date night. The food here is truly southern and everything is executed to perfection. Start with the boiled peanuts or the hush puppies, and for sure choose between the farm chicken and the pork chop for your entree, but whatever you do you’re getting at least one of the “off the menu” biscuits. They’re the essence of perfection and your life will never be the same. Scout’s honor. Valentina’s Tex Mex is so many fantastic worlds colliding into one, off the beaten path spot just south of Austin, Texas. They serve incredible barbecue including sliced and chopped brisket, pulled pork, and chicken. 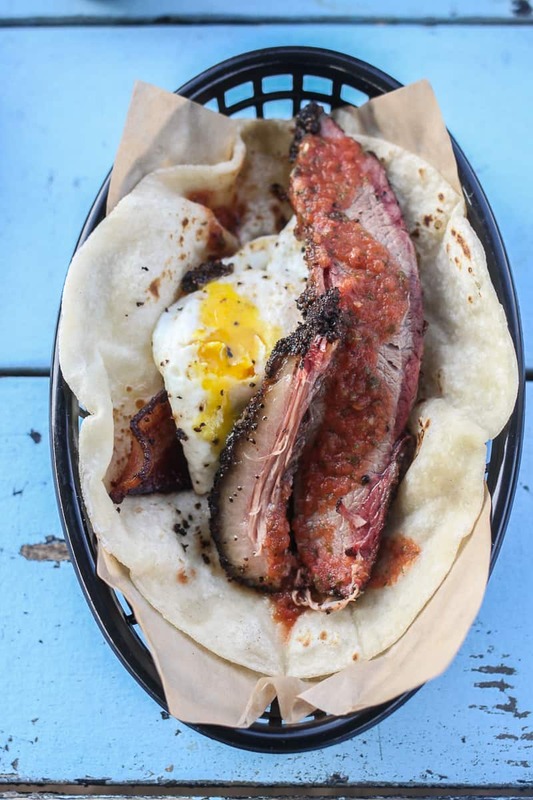 The breakfast tacos are truly upper echelon, made with a homemade flour tortilla, fried egg, potatoes, bacon, serrano salsa, and a slice of their marvelous brisket. Whether it’s the Tex or the Mex portion of their menu, you’re in good hands and indulging at one of the best restaurants in Austin. Mattie’s is one of the most unforgettable Austin restaurants when it comes to brunch. With dozens of other offerings in town, Mattie’s is a true diamond among a sea of waffles, hashes, pancakes, you name it. 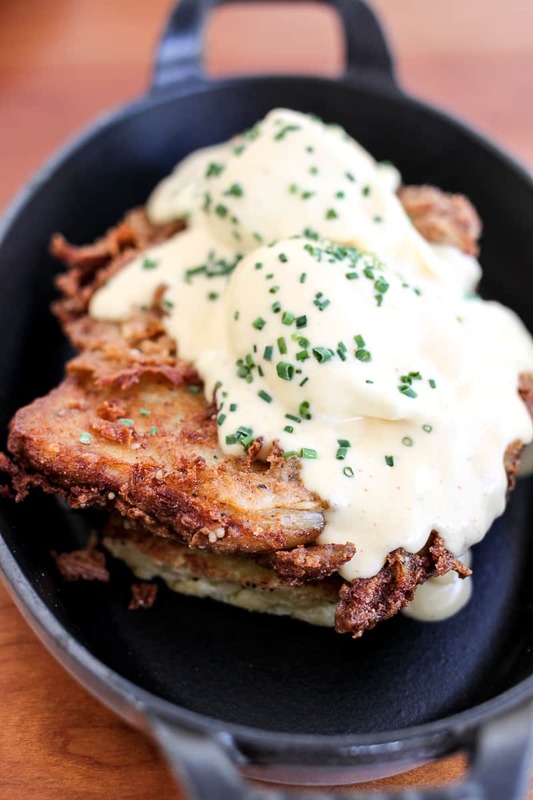 The fried chicken eggs Benedict is literally one of the best breakfast dishes you will have in your entire life and the brioche French toast with candied pecans and fresh berries is pretty hard to beat. The beautiful grounds, mansion, and wrap around porch are the icing on the cake. If you’re brunching in Austin we cannot recommend Mattie’s more. Suerte means “lucky” in Spanish, but the food here is in-cred-ible and is by no means a stroke of luck. We swoon over the food here and they’re definitely one of the best restaurants in Austin. When you dine at Suerte, try as many things as you can stomach but whatever you do, don’t miss the suadero tacos. They’re at a much higher price point than your typical taco joint in Austin but worth all the hype and every last penny. Your server will try to tell you that the tacos are meant to be shared, but if you don’t we certainly won’t judge. Additionally, you must try the goat shoulder barbacoa- also to die for. 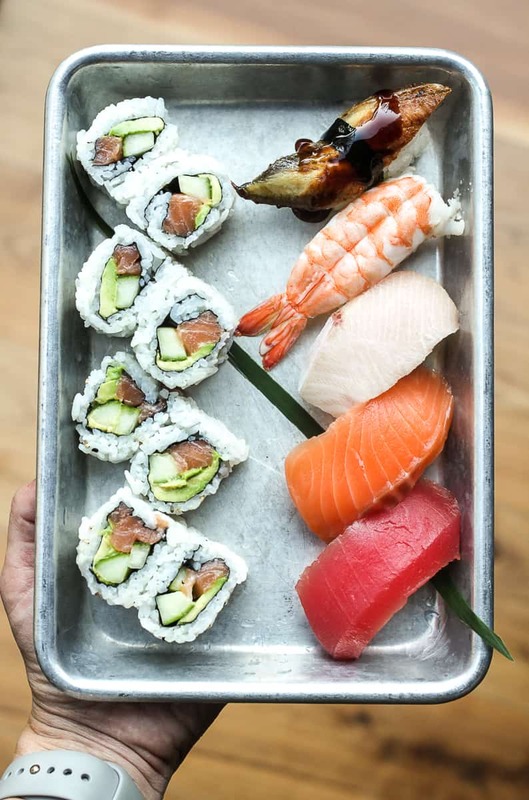 When it comes to Austin restaurants people like to debate on barbecue, breakfast tacos, and even doughnuts, but if there’s one thing this city unanimously agrees on, it’s that the BEST sushi in town can be found at Uchi and Uchiko. We recommend Uchiko because although Uchi has been shared with other great foodie cities, Uchiko remains an Austin novelty. This is some of the best sushi you will have in your life with an innovative flair. The service here is incredible and your waiter will make sure to explain the best menu items to you, but we give full accolade to the edamame (trust us on this one), chicken karaage (pictured), hama chili, and as much sushi and sashimi as you can stomach. The sushi/sashimi offerings are constantly changing but the madai cannot be missed. Veracruz All Natural is like the perfect best friend- always there for you through thick and thin. The OG food truck is the most well-known location, but all other nearby brick and mortar stores serve the same high-quality food. Both the breakfast and lunchtime tacos are standout delicious, but if you can only pick between one or the other, come for breakfast. Start with chips and salsa (we drool just thinking about their perfect molcajete salsa) and order as many breakfast tacos as you can reasonably enjoy (for most people that’s two). The Migas Originales is classic perfection but the Migas Poblanas also takes the cake when you want to change things up a bit. Wash all of the deliciousness down with one of their enormous aguas frescas- mango or watermelon preferably. Without fail one of the best restaurants in Austin. One of the best Austin restaurants for nearly every occasion is Jacoby’s. They serve incredible ranch to table American food with a lot of Southern undertones and everything we’ve tied is nothing short of incredible. Jacoby’s is perfect for weekend brunch, date night, girls’ night, guys’ night, holidays, casual dinner, you name it. The food is consistently amazing, you’ll never have to fight for parking, and the incredible ambiance of the restaurant combined with the adorable mercantile and outdoor patio are just a few reasons why we love this place so much. 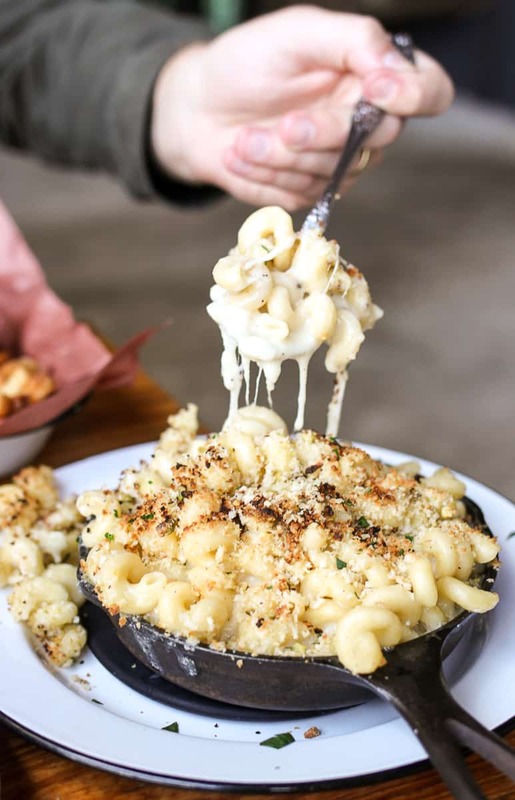 Jacoby’s is on our list of best burgers, best dessert, and best brunch in Austin, but to name a few of our favorites don’t miss out on the deviled eggs, chicken fried steak, the mac & cheese, or Grandma Hagler’s strawberry cake. If you’re looking for one of the best Austin restaurants to splurge on, make it an evening at Jeffrey’s. Owned by the same folks at Josephine House (another one of our favorite restaurants in Austin), the entire top to bottom dining experience at Jeffrey’s is truly remarkable. 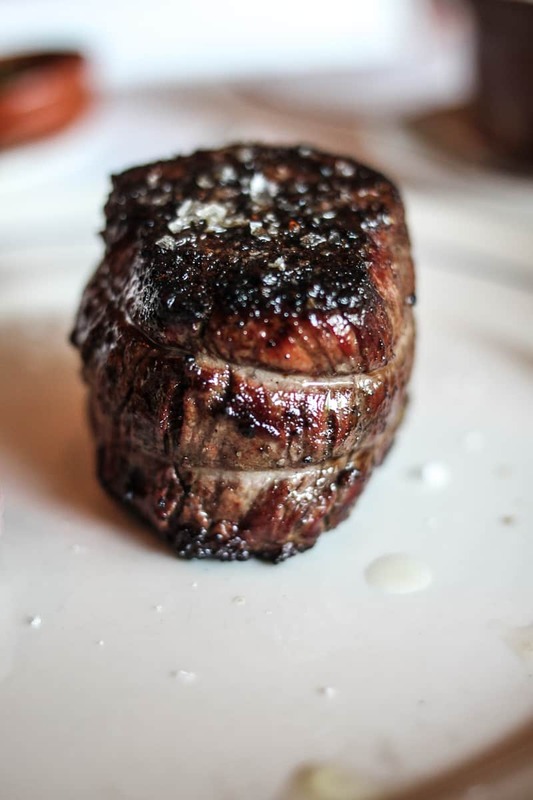 You’re coming here for anniversary dates, birthday dinners, or to impress your in-laws, so take the bull by the horns and go all out with the menu. You’re going to love everything you try and it’s a necessity for you or your significant other to indulge in a big, juicy, medium-rare steak. There are so many words, thoughts, and feelings we could devote to the subject of barbecue alone and specifically Franklin Barbecue alone (which we over-the-top did here) but if you’re looking for the best restaurants in Austin, Franklin Barbecue is at the top of our list. 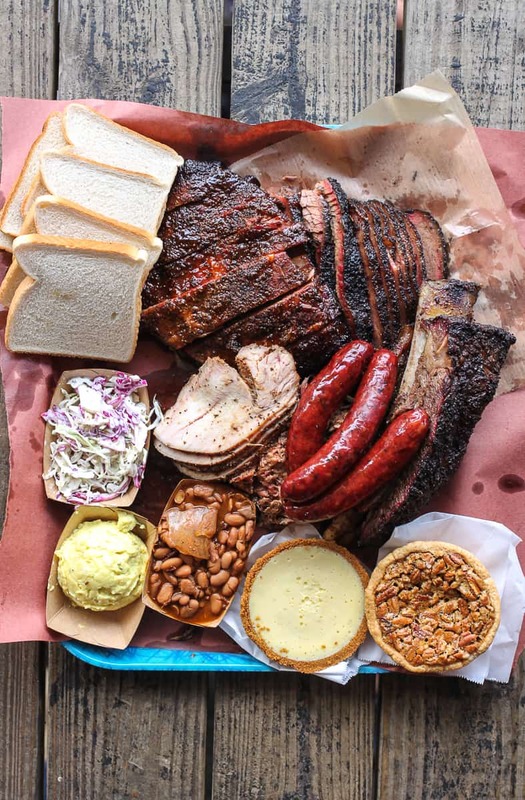 You’ll definitely want to try a little bit of everything, and although the lines can get insanely long (again, read this post first), it will still be worth it for true barbecue fanatics. Fonda San Miguel is the queen of Mexican food and one of the very best restaurants in Austin. Period. You’ll never have Mexican food like this anywhere else and the Austin institution holds up to its golden reputation. 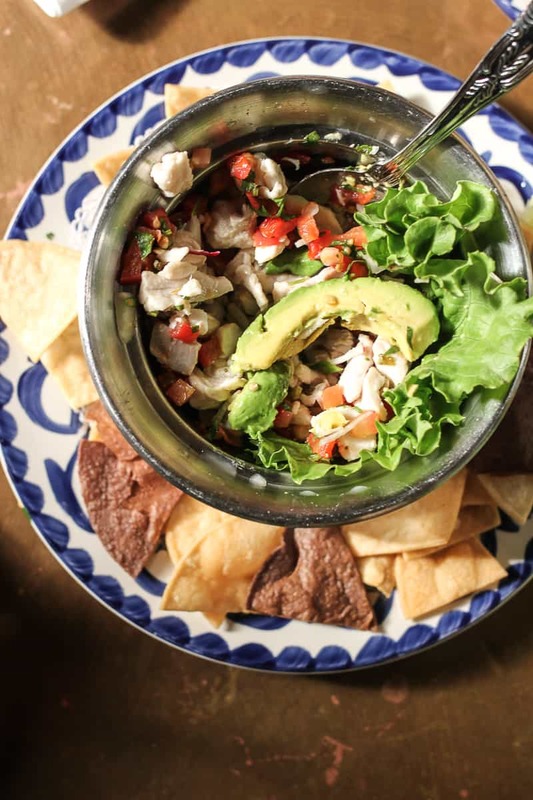 You’re doing it wrong if you don’t start with one of the ceviches or guacamole. 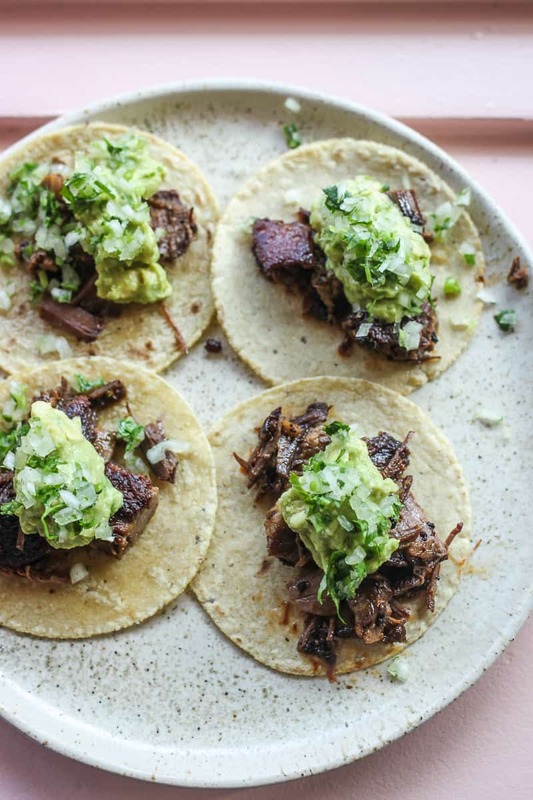 You’ll get a different suggestion from your server every time you ask for recs here but the two things you cannot miss for entrees are the cochinita pibil and the carne asada. Enjoy with extra hand made tacos and copious amounts of chips and salsa. 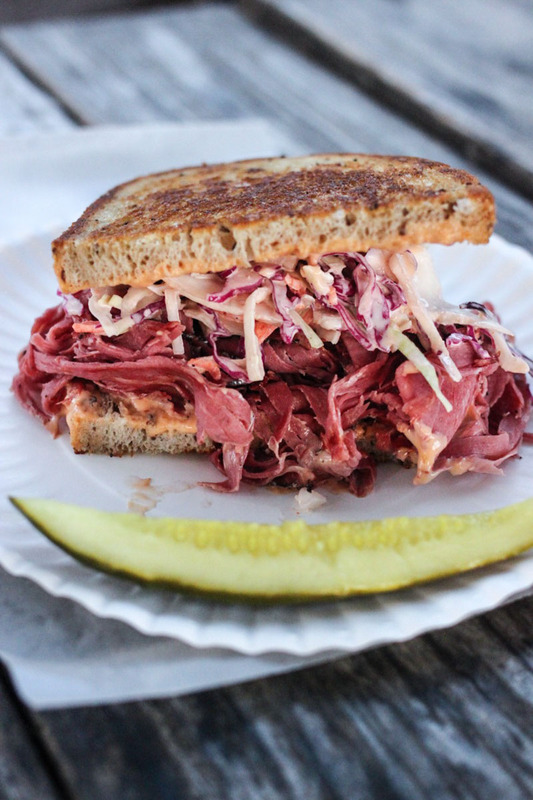 We are borderline obsessed with the dining experience at Emmer and Rye. If you’re looking for the best restaurants in Austin, this downtown restaurant is at the top of our list- literally. 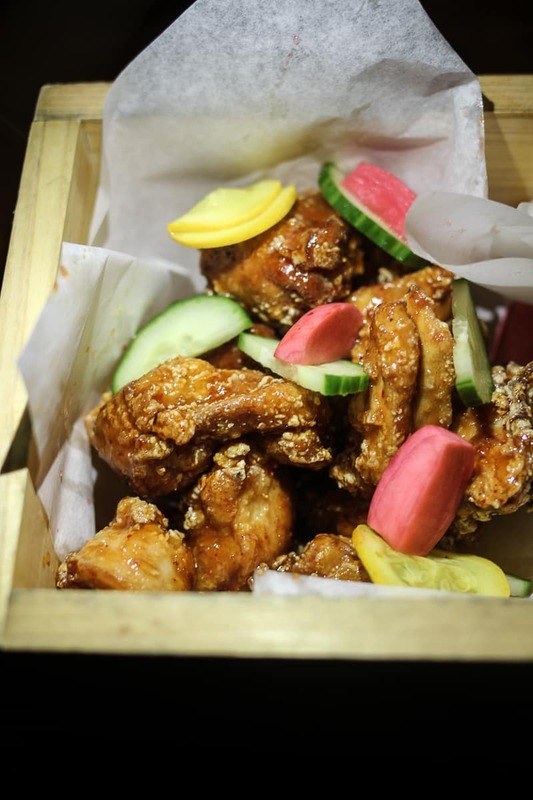 The food here is nothing short of brilliant- new American cuisine served in a dim sum style. You’ll be enjoying lots of small bites or shared plates and if your server recommends something take their lead. 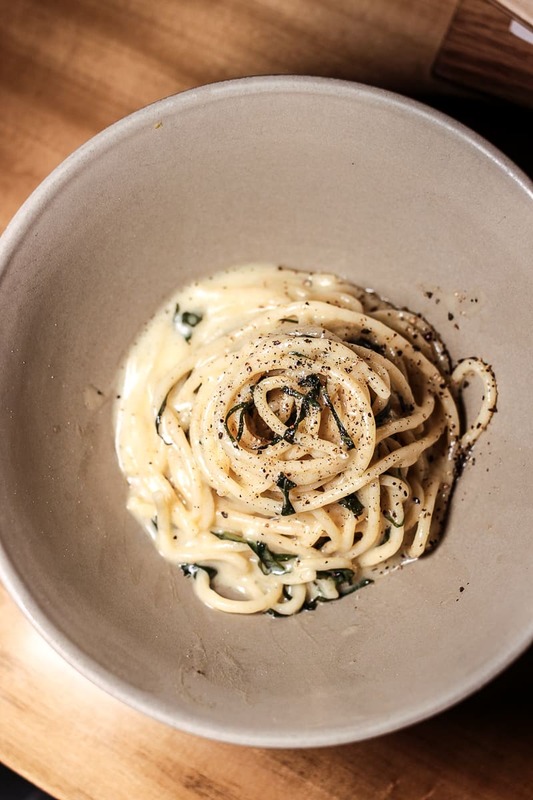 The only thing that never leaves the Emmer and Rye menu is the cacio e pepe, which is the best cacio e pepe you will have in your life.